On Friday 16 November, after days of extreme rainfall that had caused serious damage to part of the property, the sun shone on a festival eucharist and a full church. Bishop Michael presided and preached. 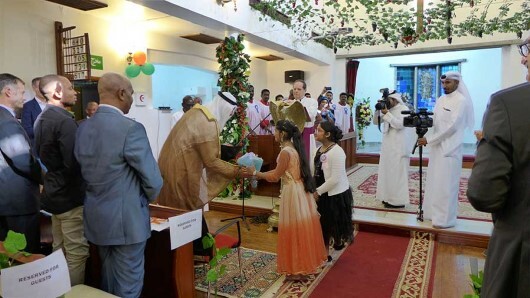 As well as worshippers and clergy past and present, including Fr Clive Windebank and Marion and Canon Steve Wright and Jo, the occasion was honoured by the attendance of HE Sheikh Mohammed Abdullah al Mubarak al Sabah, who brought warm greetings from HH the Amir.